Brick Lane Music Hall is the brainchild of Vincent Hayes MBE, the result of a dream to keep music hall alive in this country. 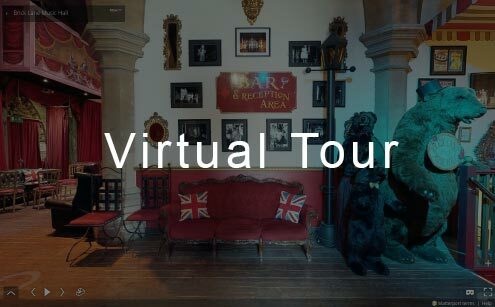 Having come to love music hall as a performer, Vincent saw its enduring value as a form of entertainment and believed that it could appeal to today’s audiences, that it could move with the times and appeal to modern audiences with topical humour and familiar songs. 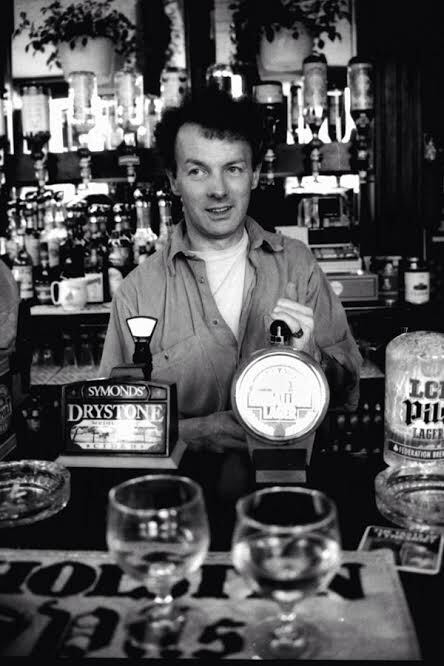 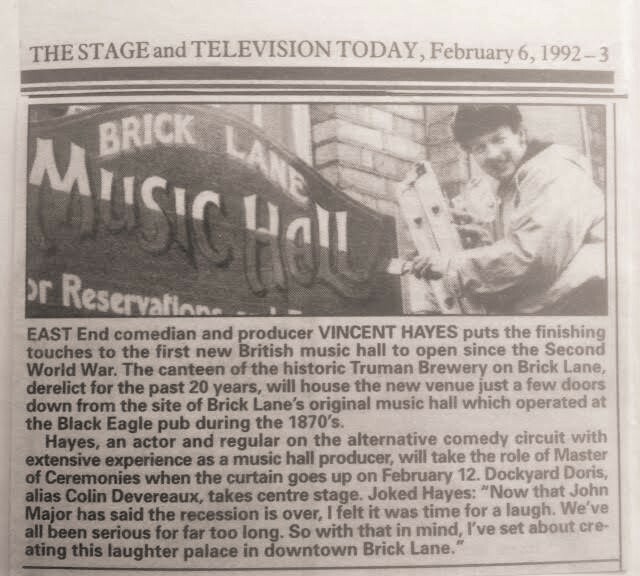 During the 1980’s, Vincent offered music hall entertainment to punters in the traditional setting of the back room of a small pub, the Lord Hood, in Bethnal Green. 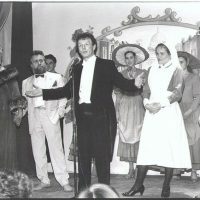 Vincent took on the role of Chairman, inviting his favourite acts to perform on a tiny stage made out of beer crates. 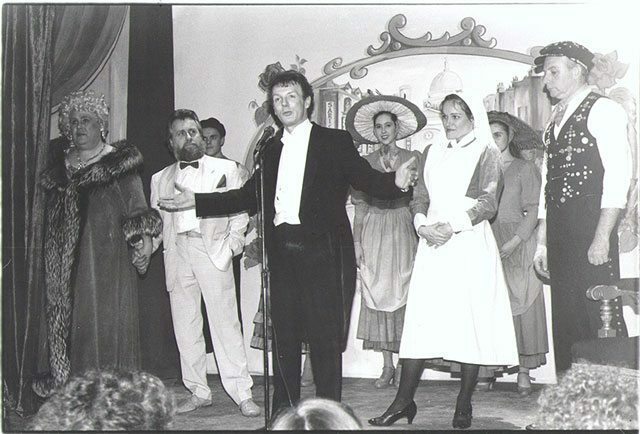 The Lord Hood attracted a regular following. 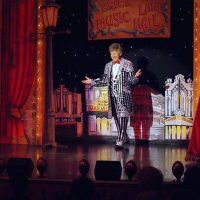 Seasoned locals jostled with music hall fans, including sundry members of the Shadow Cabinet, and soon there was standing room only. 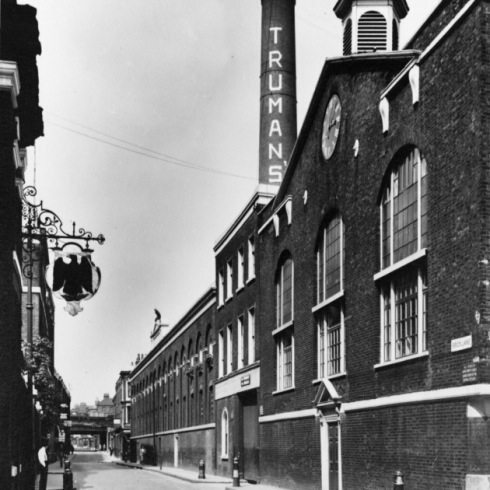 Vincent decided to create a fully fledged music hall in the old workers’ canteen in the former Truman’s Brewery in London’s famous Brick Lane. 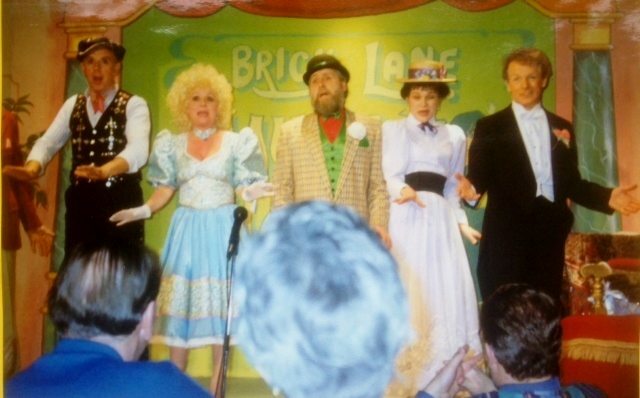 Brick Lane Music Hall opened in 1992. 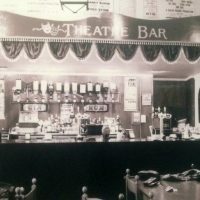 Offering food and drink on the premises was an important part of attempting to recreate some of that raucous atmosphere of the old music halls. 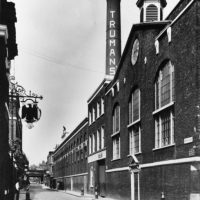 These had largely died out in the 1920’s, partly because the consumption of alcohol in the halls had been banned at that time in an effort to control the lively crowds. 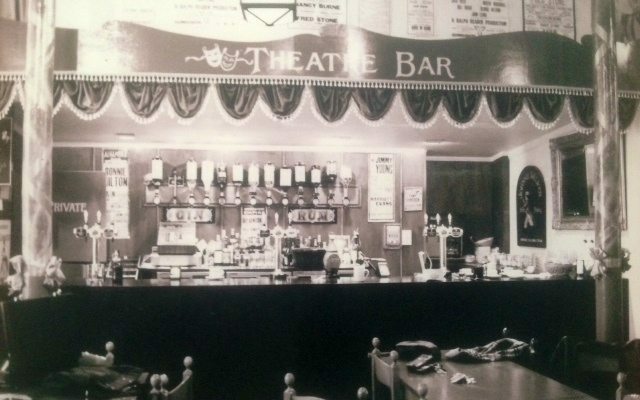 Vincent always believed that good food and drink was integral to a good night out – or afternoon, because he also offered matinee shows with afternoon tea alongside evening shows with dinner. 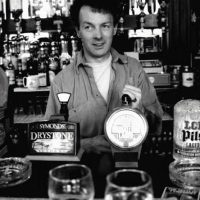 This belief may be explained by his Irish roots, “céad míle fáilte” was never far from his mind – a hundred thousand welcomes, as the Irish say. 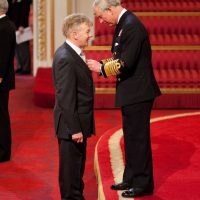 If people are well fed and comfortable, they can relax and enjoy themselves. 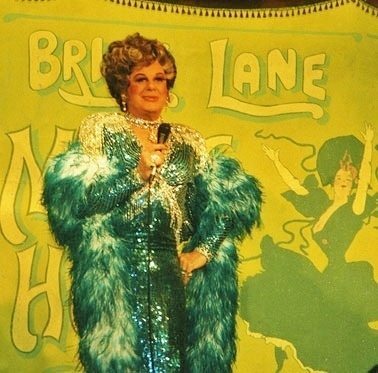 In the early days Brick Lane Music Hall received a boost with support from a long-standing friend, Danny La Rue, who offered to appear at Brick Lane, establishing the theatre’s reputation as a modern day music hall. 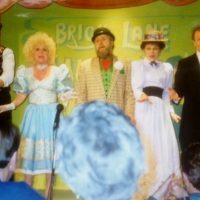 Many stars appeared at Brick Lane Music Hall, including Barbara Windsor, who, during a Q & A appearance at Brick Lane Music Hall, met the producer of EastEnders. 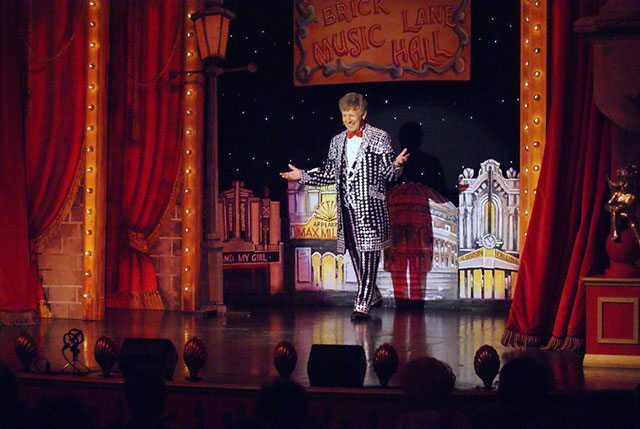 All these years later Brick Lane Music Hall is re-housed in Silvertown and has become synonymous with British music hall. 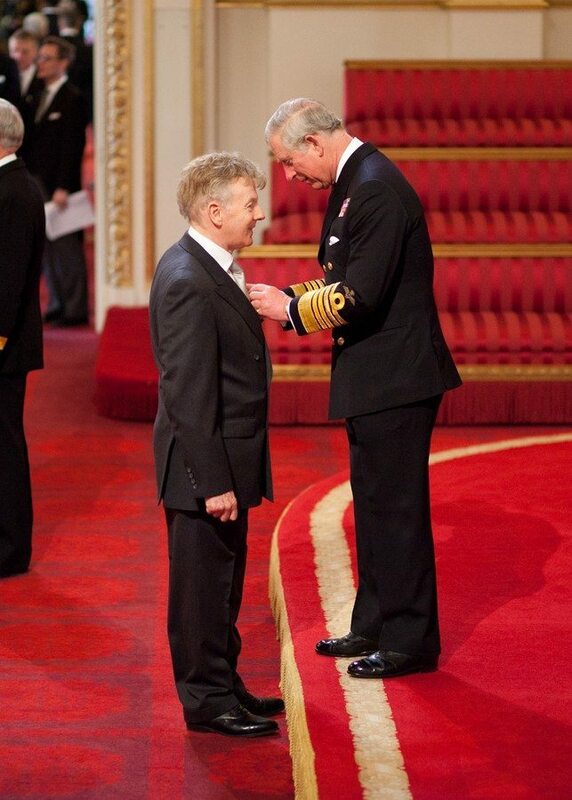 In 2013 Vincent was honoured with an MBE for his services to British Music Hall. 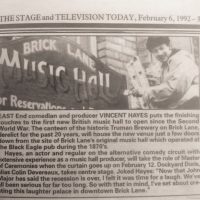 Vincent still leads many of the shows, sometimes with the artists who appeared at The Lord Hood, together with new and emerging performers and other artists who come to enjoy the special atmosphere of Brick Lane Music Hall.